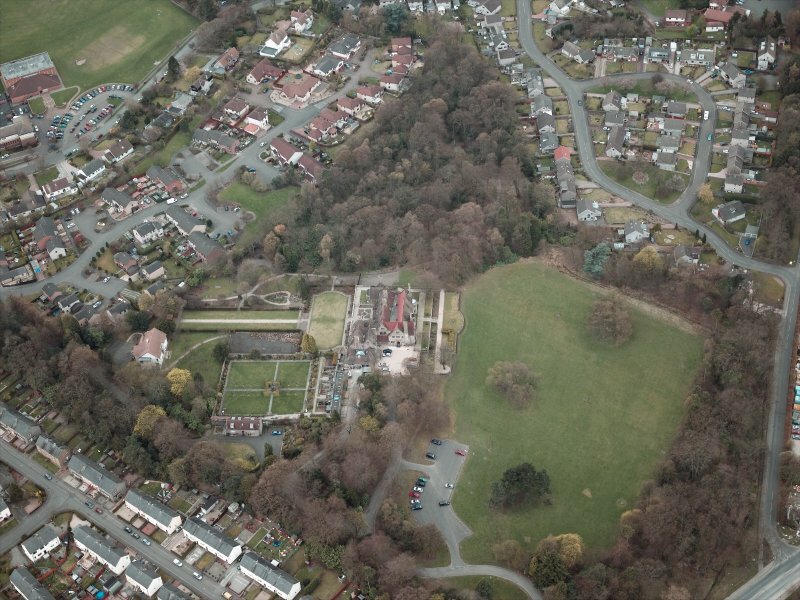 Oblique aerial view centred on the house and walled garden with the gate lodge adjacent, taken from the S.
Oblique aerial view centred on the house and walled garden, taken from the E.
Oblique aerial view centred on the house and walled garden with the gate lodge adjacent, taken from the SW.
Oblique aerial view centred on the house and walled garden with the gate lodge adjacent, taken from the WSW. 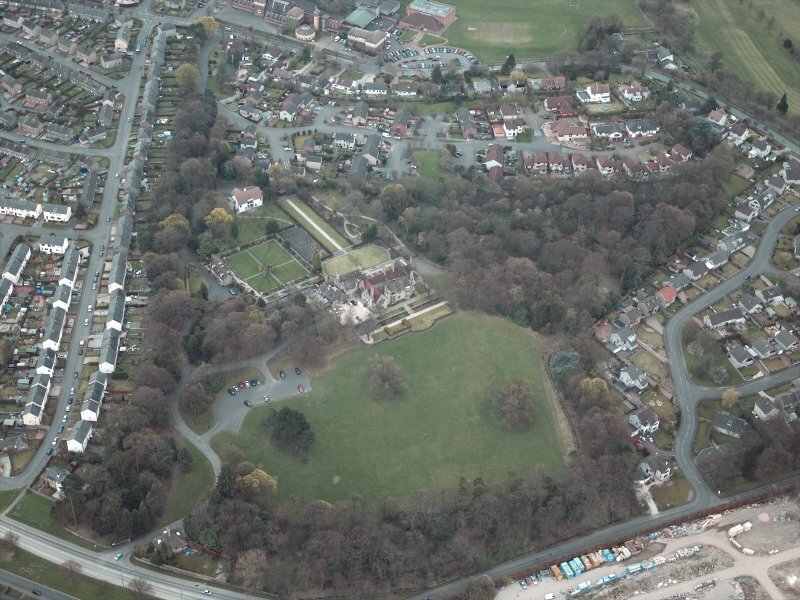 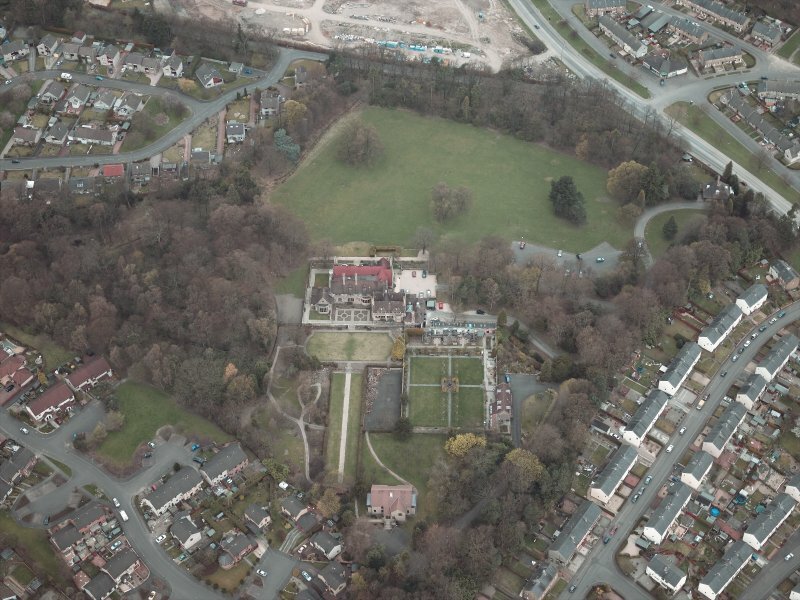 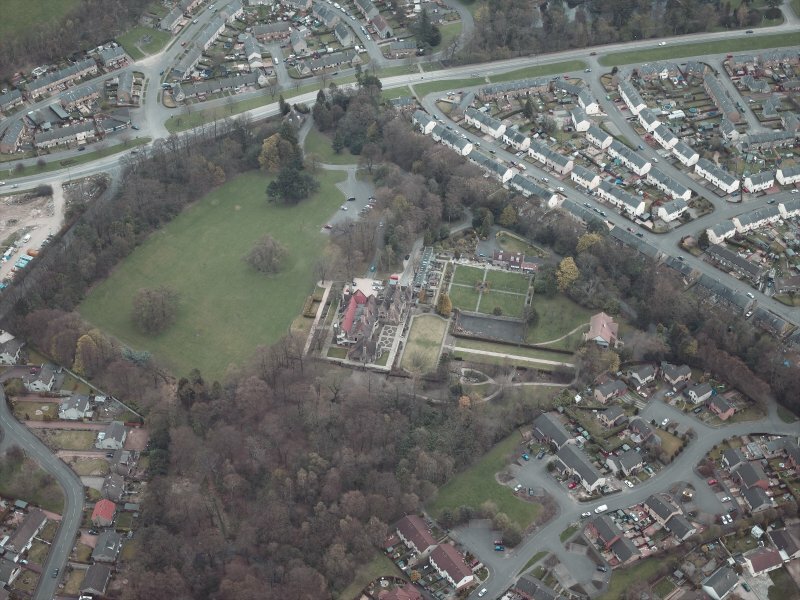 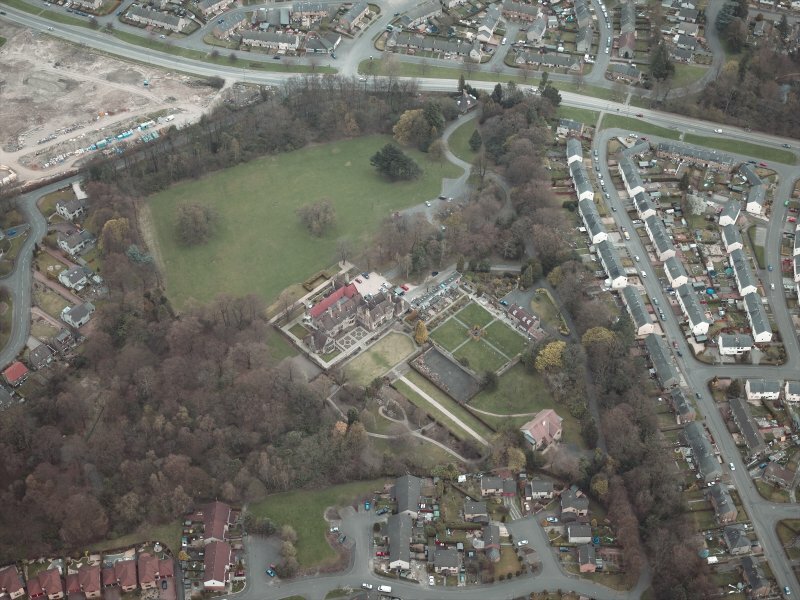 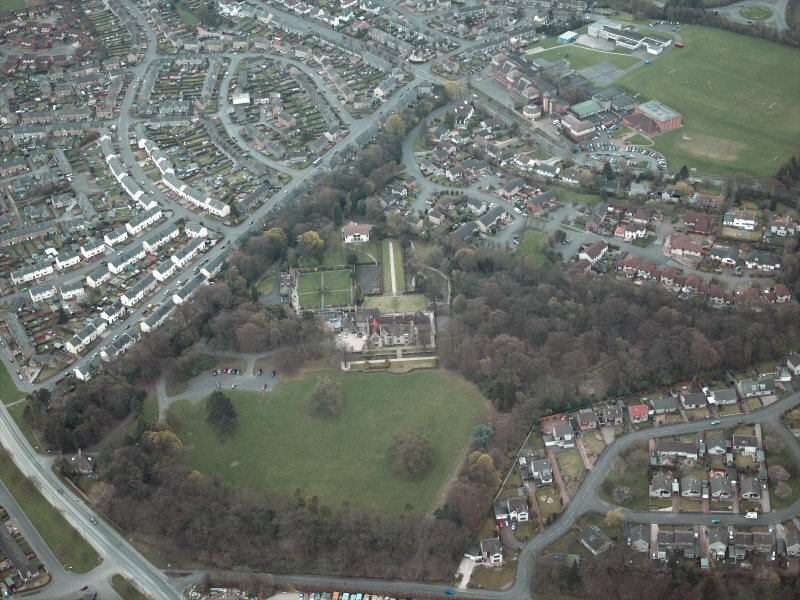 Oblique aerial view centred on the house and walled garden with the gate lodge adjacent, taken from the N.
Oblique aerial view centred on the house and walled garden with the gate lodge adjacent, taken from the NW. 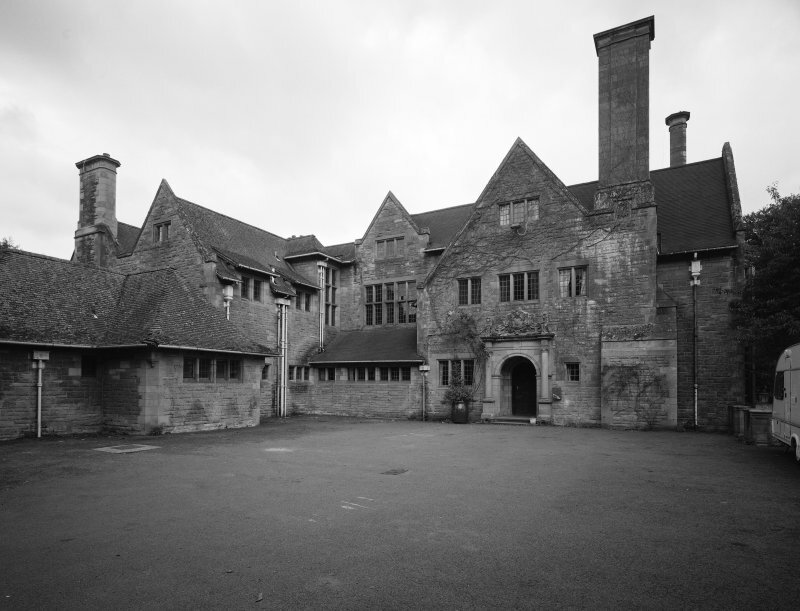 View of entrance from courtyard. 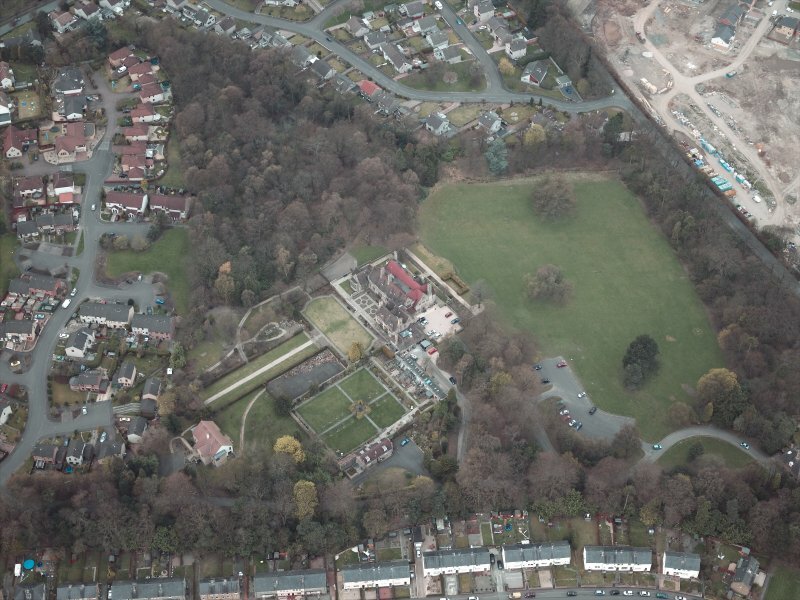 Oblique aerial view centred on the house and walled garden, taken from the NE. 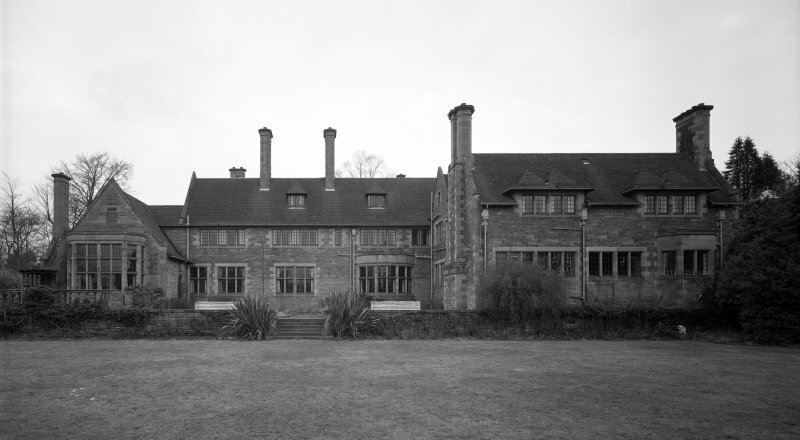 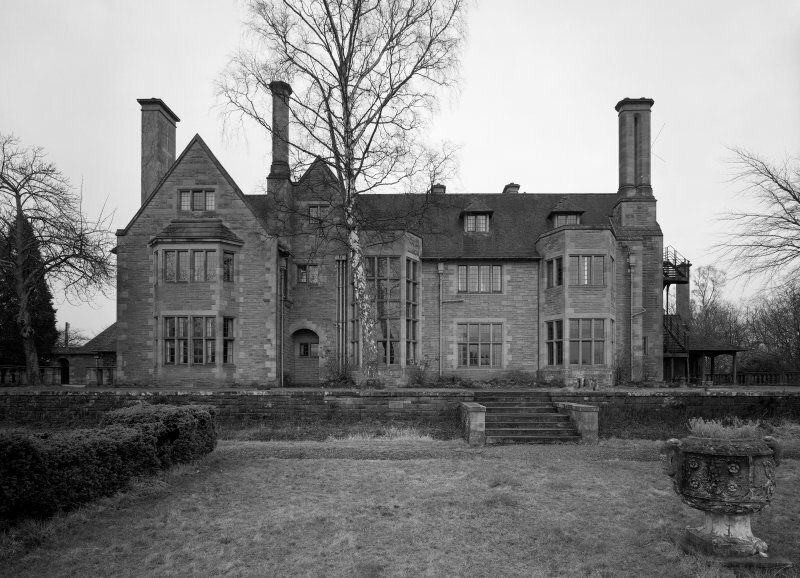 ARCHITECT: William Kerr, 1912-13 (for Forrester Patons).